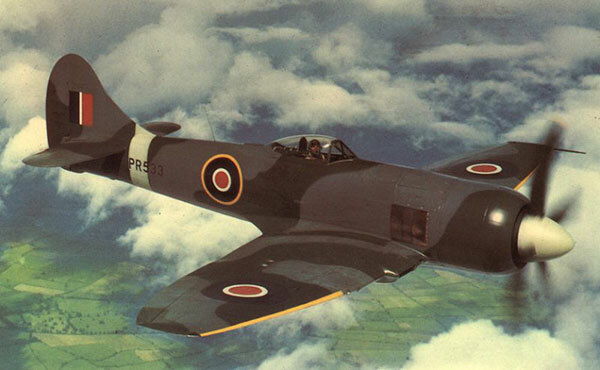 Ron Daniels' Hawker Tempest Mk II is available once again! At just over 45" wingspan, this model is designed for .15 to .32 glow power, or equivalent electric motor. The model can be built with or without retracts, and has a built-up cowl. Most of the wing sheeting is pre-cut and included in the short kit. Sorry, we do not have a photo of the completed model; however photos can be found at RCGroups. Ron said "While this airplane has immense stability and forgiving handling characteristics, it is not recommended for the novice flyer. Even using the minimum recommended power, this is a high performance aircraft that does what you tell it to when you tell it to, and is capable of flying at very high speed." Our short kit includes laser-cut balsa and plywood parts, plus a vacuum-formed canopy and printed plans.